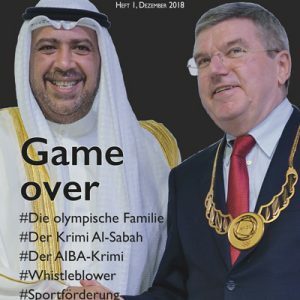 1) Ein Bild aus glücklichen Tagen dort oben: Der IOC-Geschäftemacher Patrick Hickey, Thomas Bachs Sonderbeauftragter für Ethik und die sogenannte Autonomie des Sports, durfte im November 2013 mit seinem EOC-Völkchen bei Papst Franziskus vorbei schauen. 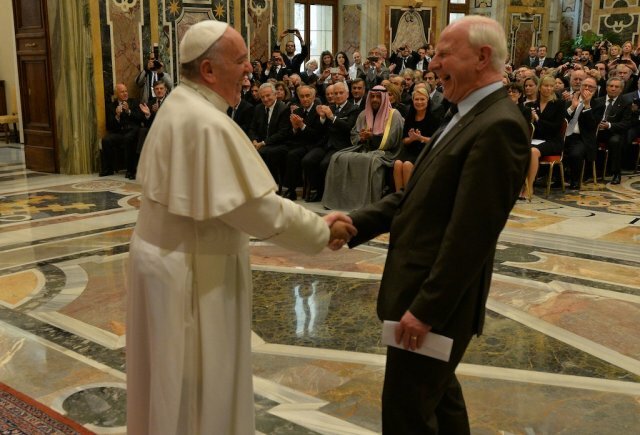 Inzwischen ist Pat Hickey der letzte Mohikaner des IOC in Rio de Janeiro. 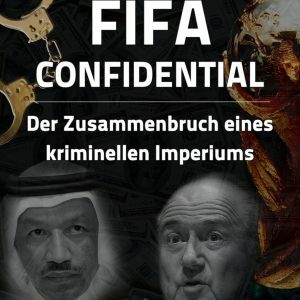 Erwartungsgemäß, wie in diesem Theater von Jamil Chade vorher gesagt, durfte Hickey zwar das Hochsicherheitsgefängnis in Bangu, aber nicht Brasilien verlassen. Die Beweislast für seine olympischen Ticketgeschäfte (leider nicht für andere Deals) scheint erdrückend, es drohen einige Jahre Haft. Hickeys dicke Freunde vom DOSB, allen voran Michael Vesper, waren am Montag Gastgeber einer Krisensitzung des EOC (European Olympic Committees). Das EOC hält bald seine Vollversammlung ab und müsste sich eigentlich um einen Nachfolger für Hickey kümmern. Noch aber hält man zur Stange, auch geht die Angst um, dass die Daten auf Laptops, Tablets und Smartphones, sichergestellt von brasilianischen Ermittlern, den Weg an die Öffentlichkeit finden und weitere Olympiagrößen kompromittieren. Außerdem ist Hickey nicht zimperlich, wenn es um seine Interessen geht. Er spielt sein Drecksspielchen seit drei Jahrzehnten und hat natürlich Hintergrundwissen zu allen wichtigen Funktionären. Wer ihn vorschnell fallen lässt, muss mit seiner Rache rechnen. The Executive Committee of the European Olympic Committees (EOC) held an Extraordinary Meeting on Monday afternoon at the offices of Der Deutsche Olympische Sportbund (DOSB) in Frankfurt and has issued the following statement regarding the arrest and recent release from preventative custody of Mr Patrick Hickey, the elected President of the EOC [who has temporarily stepped aside from all his Olympic positions pending the outcome of all inquiries]. The meeting was chaired by EOC Vice-President and acting President of EOC, Mr Janez Kocijančič. “The EOC welcomes the news that Patrick Hickey has been released from preventative custody in Bangu maximum-security prison. We believe this was the correct decision as it respects the dignity and fundamental human rights of Mr. Hickey. The EOC respectfully requests that these rights continue to be respected, including the principle of proportionality when under criminal investigation and Mr Hickey’s presumption of innocence. Nicht dass die Slowenen in Kürze noch zur europäischen Supermacht der Sportpolitik aufsteigen. 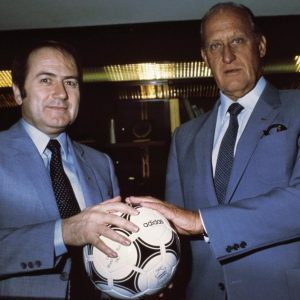 Janez Kocijančič als EOC und Aleksander Čeferin als UEFA-Präsident? 3) Der Court of Arbitration for Sport (CAS) hat nun seine Entscheidung zur Sperre des Russischen Paralympischen Komitees (RPC) durch das IPC in Langfassung (24 Seiten) veröffentlicht. Über die Thematik wurde hier ausführlich berichtet. 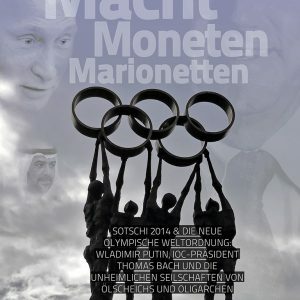 Nun muss man nicht jede Argumentation des CAS mittragen (die Richter behaupten zum Beispiel, im Grunde bestehe zwischen der Entscheidung des IOC-Exekutivkomitees in Sachen Russland, mit seinen Weiterungen für Rio 2016, und den Maßnahmen des IPC kein großer Unterschied), interessant und wichtig ist die Urteilsbegründung allemal. Unabhängigkeit von CAS-Richtern vorausgesetzt (ein Thema für sich und nicht immer gewährleistet), bleibe ich dabei: Eine Suspendierung des ROK auf Grundlage der Olympischen Charta für Rio 2016 wäre als einzige akzeptable Konsequenz aus dem Staatsdopingsystem und der totalen Verfälschung aller Olympia-Entscheidungen 2014 in Sotschi kaum gekippt worden, hätte das IOC-Exekutivkomitee unter Bach so entschieden. Ich weiß, das sind zu viele Konjunktive, egal, muss immer wieder gesagt werden, verbunden mit diesem Nachsatz: Bach wollte genau das verhindern. Ich greife an dieser Stelle nur mal die Punkte 83 bis 89 aus dem Richterspruch heraus. Vieles davon ist in den vergangenen Wochen in diesem Theater ausführlichst beschrieben und debattiert worden, auch der Hinweis auf den CAS-Spruch vom Januar in Sachen Gewichtheben/Bulgarien. Wer mag, ersetze die Begriffe IPC durch IOC, RPC durch ROK und Paralympics 2016 durch Olympische Sommerspiele 2016. 83. The decision of the IPC to suspend the RPC was within its power, has a proper legislative basis and was not irrational, or perverse, or outside the margin of discretion open to it. The Decision was not evidently or grossly disproportionate. It was a unanimous decision of the IPC’s Governing Board, which included six Paralympians and representatives from around the world. The IPC explained that it made the decision as it viewed suspension as the only way to ensure that the system, and systematised doping, in Russia no longer continued. Suspension cannot be said to be evidently or grossly disproportionate in view of the overwhelming evidence of the IP Report and the information that followed that directly affected Paralympians in Russia, including in the Sochi Paralympic Games. 84. The IPC contends, in effect, that it was a legitimate aim to send a message that made clear the lack of tolerance on the part of the IPC to such systemic failure in a country. At the time of making that decision, there was no sufficient evidence before the IPC that such failure had been remedied. The concern that clean athletes, inside and outside of Russia, have confidence in the ability to compete on a level playing field, and the integrity and credibility of the sporting contest, represent powerful countervailing factors to the collateral or reflexive effect on Russian athletes as a result of the suspension. This represents an overriding public interest that the IPC was entitled to take into account in coming to the Decision. 85. As was confirmed in CAS OG 16/09, Russian Weightlifting Federation v International Weightlifting Federation, an international federation may, in appropriate circumstances and in accordance with its Rules, suspend a member federation based on a breach of its Anti-Doping Policy and based on the “reliable information” of the IP Report. In the present case, there has been a breach of the IPC Anti-Doping Policy and the RPC duties and obligations in this respect. Furthermore, the IPC had before it reliable information from Professor McLaren in the IP Report as well as the subsequent information provided by him to the IPC as set out in the McLaren Affidavit. 86. The testing of Russian Paralympic athletes had not complied with the WADA Code. The damage caused by the systemic, non-compliance is substantial. It is yet unknown how many athletes were precisely affected by the doping system described in the IP Report and the McLaren affidavit. However, based on the information before the Panel, the number of athletes that have benefitted from the methodologies described in the McLaren affidavit, in that they had been the subject of a SAVE order and their samples had been “cleaned”, is considerable. This was not a case of a single or simple failure by an anti-doping authority. It was not a case of failing temporarily or occasionally to fulfil an obligation, or of inconsequential inadvertence on the part of the RPC. The RPC had a non-delegable responsibility with respect to implementing an anti-doping policy in conformity with the WADA Code in Russia. As an athlete cannot escape the consequences of an anti-doping rule violation by delegating his or her responsibility in relation to the personal duty to ensure that no prohibited substance enters his or her system (Art. 2.1.1 WADA Code), the RPC cannot delegate the consequences where other bodies within Russia acting as its agent implement a systemic system of doping and cover-up. Delegation is permissible and practical and may, indeed, be necessary but, as is recognised in many legal situations, it is not a means of avoiding all responsibility. 87. Could the IPC have fashioned another decision, within the available time before the Paralympic Games in Rio? As the RPC did not provide in its submissions for any kind of a specific alternative that would enable athletes to avoid the consequences of suspension of the RPC which render them ineligible to compete and to allow them to compete in the Paralympic Games in Rio, it is not for the Panel to do so. 88. The IPC took the view, which was not unreasonable in the circumstances of the scale and the nature of the doping and cover-up, that the purpose of a suspension of membership was threefold. On the one hand, the measure was designed to provoke behavioural change (for the future) within the sphere of responsibility of the RPC. On the other hand, the suspension took into account that the failures in the past had resulted in a distorted playing field on an international level, because the IPC anti-doping policy was not being adequately enacted and enforced vis-à-vis para-athletes affiliated to RPC. Finally, the IPC submitted that in view of the fact that Paralympic sports had been specifically mentioned in the IP Report, a strong message had to be issued to restore public confidence, since the Paralympic movement depends – much more than other sports – on the identification with moral values. 89. The Panel notes that all three goals pursued by the IPC are legitimate and that the measure taken is suited to achieve the goals pursued. The suspension of the RPC was a means of restoring a level playing field and was, in addition, a powerful tool to provoke behavioural change within the RPC’s sphere of influence. The Russian stakeholders responsible for the systemic doping used the RPC to enter (doped) athletes into the competitions. By suspending the RPC this ability was and will be undermined. The measure taken was also a powerful message to restore public confidence. There was no submission to the Panel of an alternative measure that would, comparably and effectively, restore a level playing field for the present and the immediate future, affect future behavioural change and restore public trust. 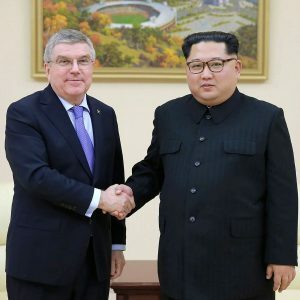 The IOC and IPC operate under different charters and constitutions and are entitled to come to different conclusions as to how best to respond to factual circumstances. 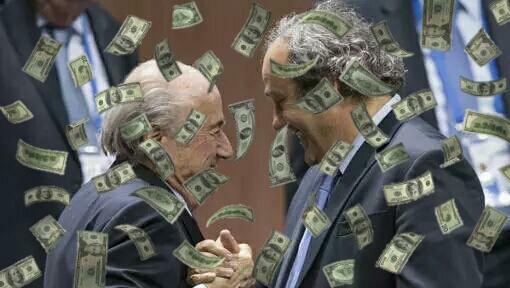 The decision of one does not bind the other. 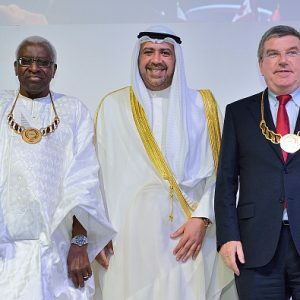 For example, when the IOC referred the consideration to the individual International Federations, there were different responses, none of which has been demonstrated to have been inappropriate. 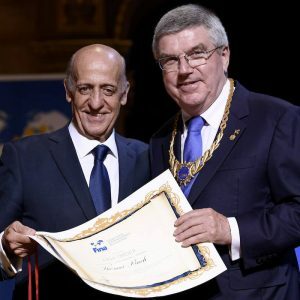 Furthermore, and as opposed to the IOC, the IPC itself is actually the International Federation for 10 Paralympic Sports (alpine skiing, athletics, biathlon, cross country skiing, ice sledge hockey, powerlifting, shooting, snowboard, swimming and wheelchair dance sport), and in such capacity it is responsible for the governance of the sport, and for coordinating and supervising World Championships and other competitions. Therefore, at least in these ten Paralympic sports, the IPC decision stands on the same level as the various decisions of the IFs. Widersprüchliche Meldungen gab es dieser Tage zum angeblichen Ausschluss des RPC für die Paralympischen Winterspiele 2018 in PyeongChang. Wenn ich das richtig sehe, existiert dazu kein Beschluss des IPC, vielmehr basieren die Meldungen auf (Falsch-)Darstellungen von russischer Seite – fast möchte ich hinzufügen: und sind deshalb nicht ernst zu nehmen. Suspendierung hat, welches dasjenige des IPC an der Dopingbekämpfung und an der Integrität des Sports überwiegt. Das ist ihm in keiner Weise gelungen. Soweit vom RPC eine Zulassung der einzelnen russischen Athleten zu den Paralympischen Spielen gefordert wird, geht die Beschwerde beziehungsweise das Massnahmengesuch über den Streitgegenstand hinaus. Deshalb und weil die einzelnen Athleten nicht Partei der Verfahren vor dem CAS und dem Bundesgericht sind, kann sich das RPC nicht auf Individualrechte der einzelnen Athleten berufen. Über die Beschwerde in der Sache selber wird das Bundesgericht zu einem späteren Zeitpunkt entscheiden. COPENHAGEN, DENMARK (August 30, 2016) – The leaders of 17 National Anti-Doping Organisations (NADOs) came together for a special summit in Copenhagen Denmark this week to discuss reforms that best serve the interests of clean athletes and restore confidence in the integrity of anti-doping decisions in international sport. Over the course of the two-day summit hosted by Anti-Doping Denmark (ADD), the NADO leaders discussed some of the most pressing issues facing the current anti-doping landscape, including debate over how best to improve the effectiveness of NADOs, the inappropriate involvement of sport leaders in critical anti-doping decisions and activities, the need for a strengthened WADA capable of ensuring a level playing field in countries with failing anti-doping structures, and long overdue reforms to ensure the current and future protection and support of whistleblowers – including that of Yuliya and Vitaly Stepanov. Recognizing WADA’s efforts and progress since its inception in 1999, NADO leaders made substantive recommendations meant to improve and strengthen WADA’s capabilities, including improved systems for Code compliance, the adoption of clear sanctions for large-scale subversions of the anti-doping system (e.g. state-supported doping in Russia) and increased capacity for WADA to investigate and impose proportionate sanctions for Code non-compliance. The NADO group also proposed wide-ranging governance reforms for all anti-doping organizations, including WADA, in an attempt to better promote independence from sport. These reforms include a proposal that no decision-maker within an anti-doping organization should hold a policy-making position within a sport or event organizer. 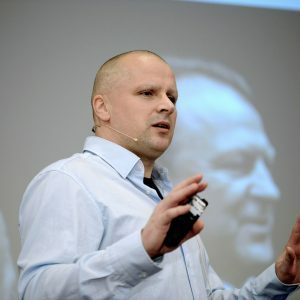 While there was recognition of the value in maintaining close collaboration with sport – especially in regard to anti-doping education, funding and intelligence sharing – the leaders brought forth an important proposal to separate investigatory, testing and results management functions from sports organisations, in order to prevent the inherent conflict of interest that exists when a sports organisation is tasked with both promoting and policing itself. The leaders also expressed unequivocal support for the completion of the independent investigation into state-supported doping in Russia by Richard McLaren, as well as calls for a public commitment from the International Olympic Committee and Russia to assist in guaranteeing the safety, security and well-being of Yuliya and Vitaly Stepanov. The proposals were written and endorsed by anti-doping leaders from around the world, including Australia, Austria, Canada, Denmark, Finland, France, Germany, Ireland, Japan, Netherlands, New Zealand, Norway, Sweden, Singapore, Switzerland, United Kingdom, United States as well as Institute of National Anti-Doping Organizations (iNADO). Montreal, 31 August 2016 – The World Anti-Doping Agency (WADA) acknowledges the proposals made yesterday by the leaders of 17 National Anti-Doping Organizations (NADOs) at their Extraordinary Summit in Copenhagen. The proposals, which have been put forth by the NADOs to ‘best serve the interests of clean athletes and restore confidence in the integrity of anti-doping decisions in international sport’, are also intended to strengthen WADA and, as a result, the global anti-doping system. “At this crucial time for clean sport, WADA is encouraged by this support and looks forward to continuing to work with its partners in leading the fight for the protection of clean athletes’ rights,” said WADA Director General, Olivier Niggli. Whilst WADA did not participate in the Summit, the Agency was informed in advance that it would be held and embraced the initiative as it does all constructive proposals. As previously announced, WADA will hold the first in a series of multi-stakeholder Think Tank meetings on 20 September 2016, the day before its traditional Executive Committee meeting – both that will generate other proposals. Additionally, WADA would expect that the Olympic Summit, which has been called by the International Olympic Committee for 8 October, will generate further proposals. Beyond this, WADA will continue to collect the views of other interested stakeholders regarding the ways and means to further strengthen WADA and the global anti-doping system. On 19 and 20 November respectively, all proposals will be reviewed by the Agency’s Executive Committee and Foundation Board – both that are composed equally by representatives of government and the Olympic Movement, including athletes. Following the meetings, a roadmap will be drawn up that will set the direction for the future of the anti-doping movement. The International Paralympic Committee (IPC) announced on Thursday (1 September) that it will not allow individual Russian athletes to participate as neutral athletes at the Rio 2016 Paralympic Games. The decision followed individual requests by more than 175 Russian athletes to compete at the Paralympic Games, which open on 7 September. For Paralympic sport to be fair, everyone must play by the same rules prescribed by the IPC, including the IPC Anti-Doping Code. Therefore, each individual athlete must sign up to submit to his/her National Paralympic Committee’s rules, and each National Paralympic Committee must be ready, willing, and able to enforce those rules (including the IPC Anti-Doping Code) effectively within its own national jurisdiction. The findings of Professor McLaren (which were not disputed by the Russian Paralympic Committee) exposed a longstanding and sophisticated State-controlled doping programme in Russian sport (including Para sport). In such circumstances, it is necessary, proportionate and lawful for the IPC to suspend the Russian Paralympic Committee’s membership rights, including the right to enter athletes in the Paralympic Games, until the Russian Paralympic Committee can demonstrate that it is able to enforce the IPC Anti-Doping Code effectively in Russia, without interference from the Russian Government. In short, the ineligibility of Russian athletes for the Rio 2016 Paralympic Games is the inevitable consequence of the suspension of the Russian Paralympic Committee. On Wednesday (31 August), the Swiss Federal Tribunal dismissed the Russian Paralympic Committee’s request for provisional measures to allow Russian Para athletes to participate in the Paralympic Games pending determination of the Russian Paralympic Committee’s challenge to the CAS decision.